These legendary women represent the quintessentially Indian sense of style by pairing handcrafted sarees with elegant accessories in their unique way…read on! 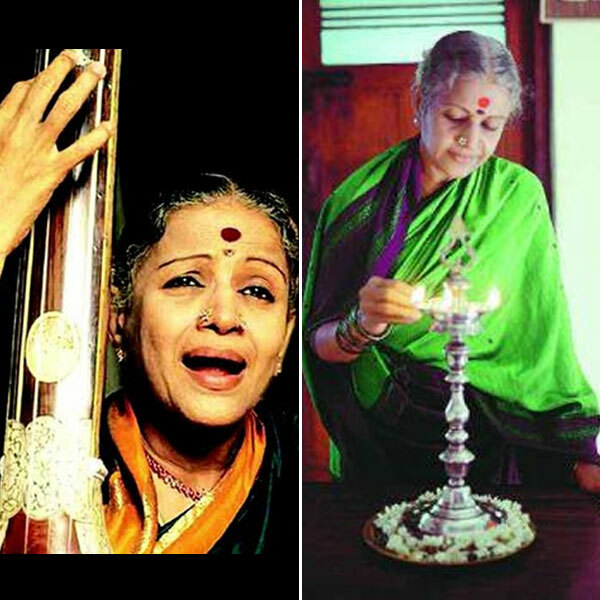 A renowned Carnatic vocalist and the first Indian singer to receive the Bharat Ratna Award, the divine voice of MS Subbulakshmi is an inspiration to many. Draped in her signature emerald-colored Kanjivaram silk sarees paired with a nose ring and gold bangles, her simple yet elegant look is as timeless and classic as her music. 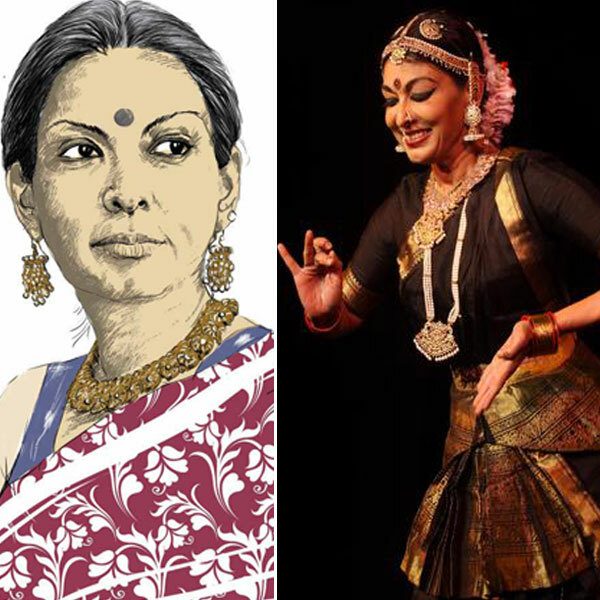 Apart from being a social activist, publisher, editor and film maker, the renowned Bharatnatyam and Kuchipudi dancer Mallika Sarabhai is a woman of many talents. With her love for Indian ethnic wear that includes traditional salwar kameez, kurtas, skirts and blouses along with bold earrings and chunky necklaces, her style is a beautiful mix of diverse cultures and a true reflection of her flamboyant personality. 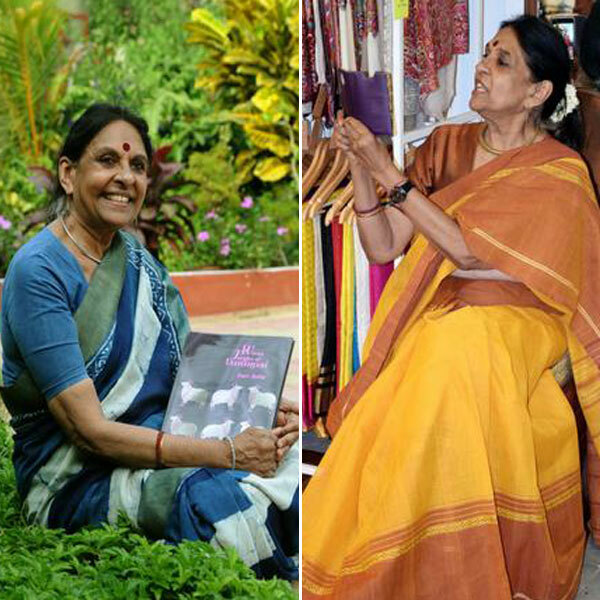 The founder of the Dastkari Haat Samiti and a politician, Jaya Jaitly works for economic upliftment of Indian artisans and craftsmen through her many social endeavours and initiatives. 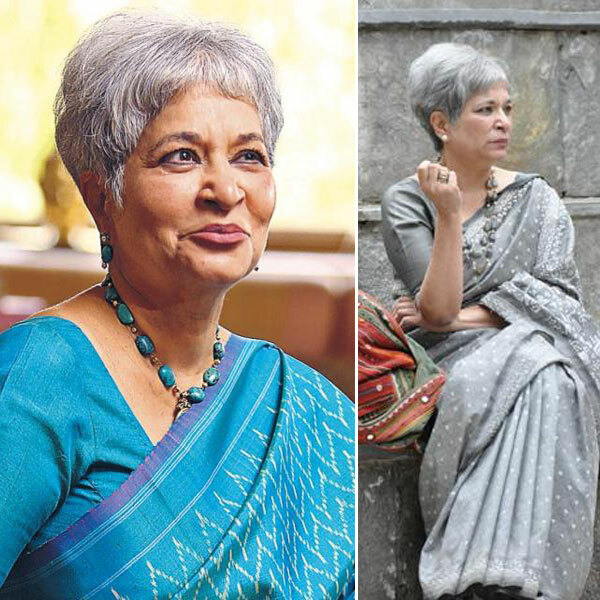 In a recent interview with The Hindu while reflecting on her personal style she said, “a saree is an intrinsic part of who I am as an Indian and it makes me feel totally comfortable and proud of my identity”. She is fond of Benarasi & South Indian sarees and also wrote a book on the intricate weaves of Benarasi sarees titled ‘Woven Textiles of Varanasi’, paying tribute to this timeless textile. 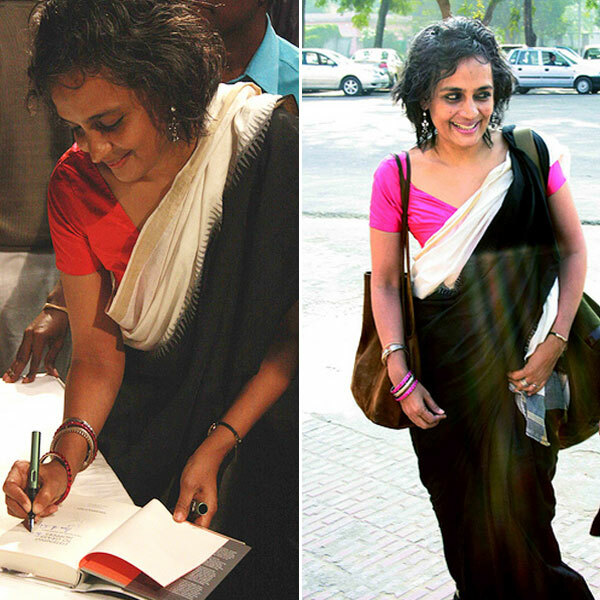 Arundhati Roy is an author and winner of the Man Booker Prize. Best known for her novel, ‘The God of Small Things’, she has also been a part of several human rights activities and campaigns. Her simple ethnic attires like handloom cotton sarees and raw silk kurtas in bright colors, matched with silver and copper jewelry exudes understated elegance. 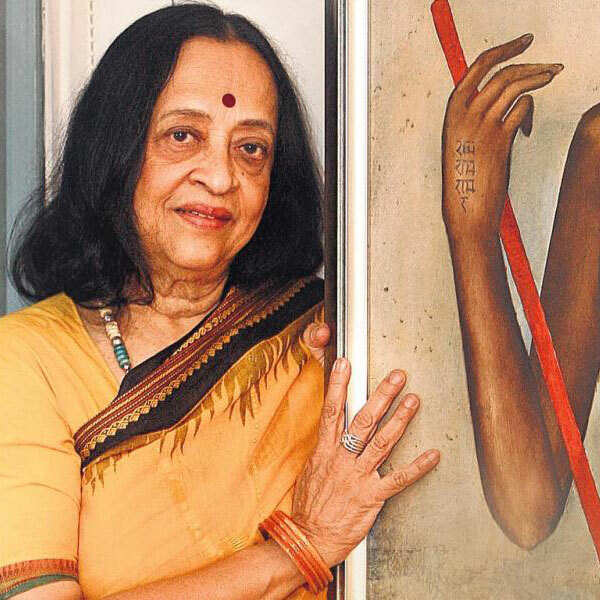 Anjolie Ela Menon is one of India’s most celebrated artists and a recipient of the Padma Shree Award. Her artworks tell a story of deities like Parvati, Ganesh and other ancient folk tales. Not only is she known for her statement artistic style but also for her cultural passion of classic Kanjivaram silk sarees and salwar kameez with the iconic bindi that completes her look. 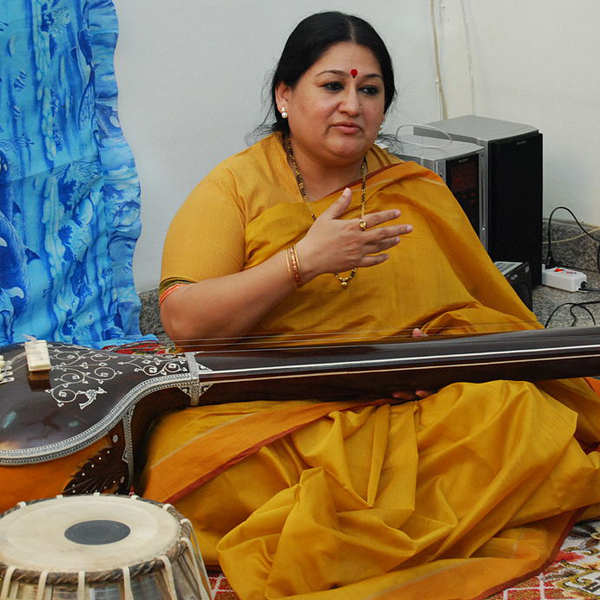 Shubha Mudgal is a renowned Indian singer of Hindustani classical music, Khayal, Thumri, Dadra, and other contemporary music and a recipient of the Padamshree Award. Primarily a classical singer, she has experimented with various other music genres including Rock, Jazz, Blues and Folk. Its no surprise that her trademark tikka, handloom sarees and neatly plaited hair is an epitome of traditional style. Laila Tyabji is an Indian social worker, designer and a craft revivalist. She is the founder of Dastkar, a Delhi-based organization that works for revival of traditional crafts in India. This sophisticated and stylish woman wears beautiful handwoven drapes especially Kantha embroidered sarees. Posted in Artist, Crafts, Dance, inspiration, Jaypore, Jewelry, People of India, Revival, Sarees, Textiles, Weaving, Women, Wondrous India and tagged accessories, Anjolie Ela Menon, artists, Arundhati Roy, bangles, beautiful, benarasi, Bharat Ratna Award, bindi, blouses, classic, Cotton, dancer, Dastkar, elegant, Embroidery, handcrafted, handwoven, India, Indian, inspiration, Jaya Jaitly, Jaypore, Jewelry, Kanjivaram, Kantha, kurtas, Laila Tyabji, Mallika Sarabhai, MS Subbulakshmi, Music, Padma Shree Award, painter, Parsi community, politician, ring, Sarees, Shubha Mudgal, Silk, singer, skirts, style, Traditional, Women, writer. Bookmark the permalink.